That’s what’s been offered as incentives by five First Step Back Home ministry friends to encourage you to support us on the 6th Annual GiveSTLDay Wednesday, May 1st. 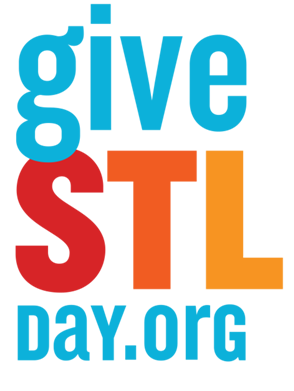 If you haven’t heard by now, this 24 hour on-line giving marathon begins at midnight May 1 and 900+ non-profit charities in the St. Louis region are expected to participate, hopefully raising more than $2.4 million, like was done last year! There’s a $1,000 prize for the charity that gets the MOST DOLLARS during the midnight hour. We’ve won that prize for the past two years. Won’t you help us WIN IT AGAIN??!!! Just set your clock to give anytime during that first hour of the campaign. It will only take a few minutes and then you can get back to your sleep. The other times noted above will have donations “lifted” with part of a $20,000 bucket of funds that will be shared by all charities who receive donations during those time periods. In addition, every dollar you give will be MATCHED $1 for $1 – that’s 100% match! by our five ministry friends: Steve Crawford Trucking and four others who wished to remain anonymous, up to $17,000! You can read all about our mission, vision, success stories and see new videos and photos of ministry in action at our direct giving hyperlink: www.givestlday.org/firststepbackhome. We sincerely hope you will engage with FSBH on this popular one day on-line giving platform. Thank you for your consideration and please let us know if you have any questions. AND pass all this on to your contacts to help us achieve our goal of getting $34,000 in funding this year! FACT: In the last 6 years (2007-2013), our state of Missouri had the largest percentage increase in homeless in the U.S., up 37% (2013 Annual Homeless Assessment Report to Congress). FACT: In 2013, the St. Charles County, MO Living Wage necessary to support 2 adults and 1 child was $16.68 per hour. But that same-sized family that officially lives in poverty was earning just $8.80 per hour (Poverty in America Living Wage Calculator). FACT: The Missouri Poverty Rate is currently 16.2% (Spotlight on Poverty), or nearly one million Missourians living in poverty. For those people, there is a large gap between what they earn and what it takes to just afford shelter and food. THIS is the serious situation that First Step Back Home (FSBH) strives to address for the homeless and near-homeless in our local area. We get so many people approach us for help now, largely because so many of the traditional agencies are overflowing with clients and end up referring them to us. FSBH does its absolute best, within its financial means, to help every one who can prove that they are honestly trying to help themselves. We give ourselves to homelessness prevention and crisis intervention. 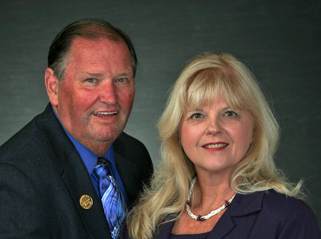 Paul and Lana Kruse, Founders of First Step Back Home, Inc.